Well, this is about as hot as it gets these days! It’s been difficult to find solid looking stock charts that are trending higher over the past three to six months but I continue to research. The overall market is still very weak so the lack of individual leaders is understandable. It’s not smart to buy against the grain of the market; swimming against the current is just plain stupid if you ask me. However, my attempt today is to post up a few positive looking charts that are showing up on my screens as potential leaders if and when a small rally occurs. Several of these stocks have crossed my screens since late 2008 and have been highlighted on the blog but LOPE is new one to the bunch. 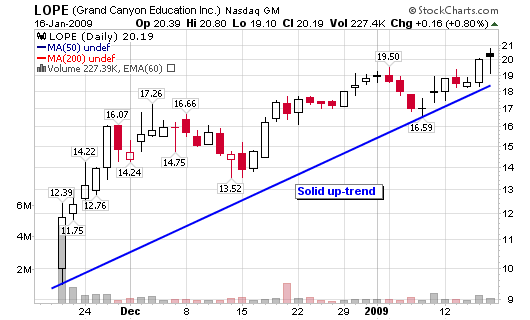 Grand Canyon Education, Inc. (LOPE) has a great looking up-trending chart since the day of its IPO and started to show up on my daily screens in late December (the most successful IPO in a long time – out of the box). This is definitely a stock that I would purchase if the market was showing strength. For now, I will stay on the sidelines until I can see some form of a rally starting to take place. The other stocks listed below are also displaying nice technical characteristics in this murky environment which leads me to believe that they have potential to become market leaders in a rally. APEI is closely related to LOPE as these stocks typically do well when the market is in a recession. GXDX and ENSG are related to the healthcare and/or science industry which seems to do well when the economy has turned sour as well. Stocks such as APOL, COCO and CECO were superstars after 9-11 in the months leading up to the rally of 2003. Medical related stocks were also topping my charts in late 2002 and early 2003. Times seem to be repeating so we’ll have to wait for a market signal before jumping into any of these candidates. In any evert, keep them on your watchlist. 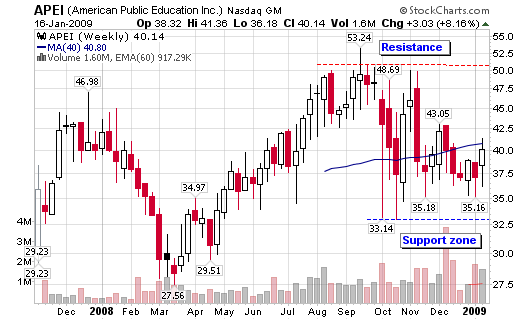 APEI – American Public Education, Inc.
ENSG – The Ensign Group, Inc.
Several of these stocks have been highlighted in blog posts dating back to November – be patient! We’ll continue to sit on them until the time is right. Thanks Chris. What’s your time frame for the LOPE trade? Full STO and MACD appear overbought currently. Just curious! 2007. I need to make a decision on getting out now or hanging on. If you contact me personally, I can give more details. 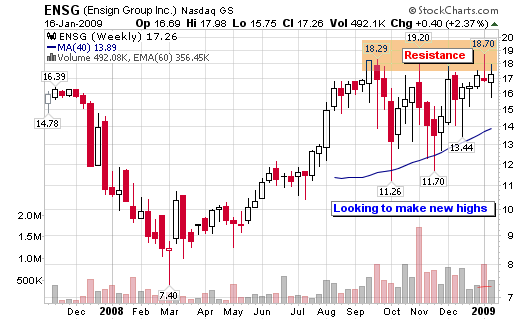 It’s in a downtrend and trading below the 50-d and 200-d moving averages. I can’t tell you to sell or hold but I can tell you that it is not a stock I would own based solely on technicals at this point in time. 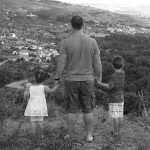 Hello Chris: I have been reading your blogs for some time now, and wait anxiously for your next blog. I have almost never left a reply because I do not have anything intelligent to add. I am still learning and absorbing. Just wanted you to know that new postings on your blog site are anxiously awaited, and thank you for all the knowledge that you pass along. AIPC, BIIB, BLUD, CPLA, HMSY, INSU, OTEX, PRA, RTN, STRL. 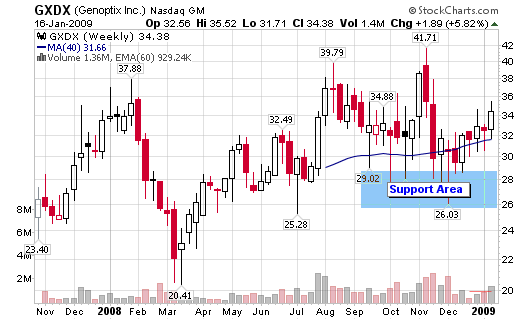 I was wondering: those biotechs, are this typical stocks that can surge a lot? Or are you looking for something different? I like the ENSG chart the best. I don’t mind its 1% dividend yield either. Sorry for the slow posting as the new baby on the way is taking more of my time as we prep for what’s to come. Biotechs or medical stocks were the first to surge in the start of the bull in 2003 (along with education stocks).